The official PlayStation blog has posted some great details about their upcoming PS4 game. 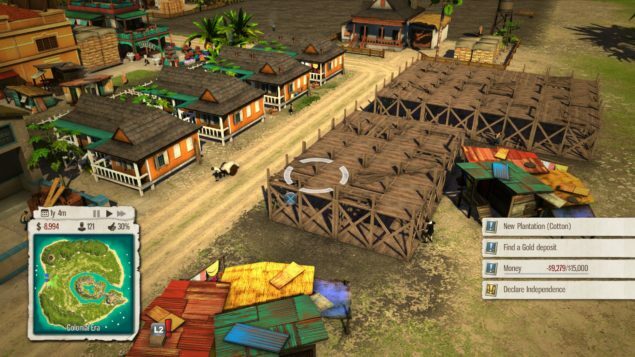 Tropico 5, which is a city builder plus a political simulator, is already available to the PC crowd, though should be arriving on the next-gen consoles sometime this year. Tropico 5 details have been released over at the PlayStation blog, giving advice on how to rule. Tropico 5 puts you in the role of El Presidente, the leader and dictator of a tropical nation that may or may not represent Cuba. It should be released soon for the PS4 and Xbox One. I’m not sure how the pace of the game will do in relation to the controls. I know that many city building adventures require constant attention to the goings on of the denizens of your beloved city, which favors the keyboard and mouse control style. So I’m not so sure that using the control sticks will be quite as easy to use and translate well into the gameplay. 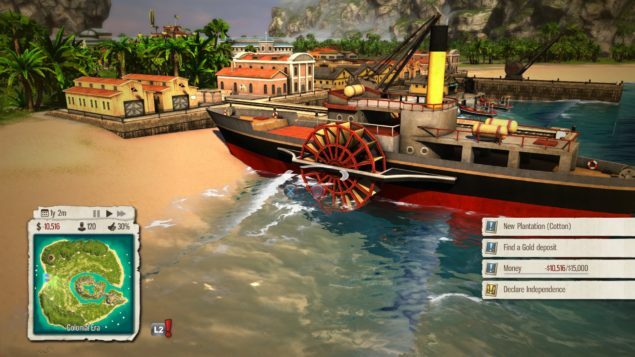 But, if you do prefer those analog sticks of wonder, there are a few tips that the PlayStation blog as given us for Tropico 5. They list 9 things that can help you rule like a boss in Tropico 5. First and foremost; Enjoy building your dream tropical destination. Apparently pineapple farming can be a reality. Second; Read up on your political factions within your country so that you may control them effectively, or suffer the consequences. Third; Make sure to maximize your economy. Don’t rely solely on pineapple farming. Fourth; There is a dynasty system so that your rule can actually be passed on to family members within the game. No sense letting someone else take over your beloved kingdom. Fifth; Do be sure to make the appropriate changes to the national constitution. It’s your country, right? Might as well make sure the shoe fits, even if you have to force it. Sixth; Read. That’s right, there’s an almanac that can provide tremendous amounts of information to help guide your decision-making process. Seventh; This game spans history! You can find yourself ruling across eras, though likely not as the original El Presedente. But enjoy the subtle changes and make sure to update to keep up with the times! Eighth, and almost done; You can apparently manipulate the rules of the game to make it more challenging should you find dictating is easier than you thought. And lastly; Enjoy that scenery. The game will be able to play at 1080p on the PS4 and should provide for some stunning vistas and great scenery. Not to mention destruction. Also, the soundtrack should be pretty sonically pleasing. I’ve never played Tropico 5 on the PC or it’s predecessors, but I have enjoyed the soundtrack and the unique take on gaming that seems to provide. Maybe I’ll delve into this one to see how it actually is. Steam ratings seem to place it at around a 7/10, which isn’t terrible by any means. If you’re a fan of the series, let us know and post in the comments about your favorites moments.